Before we get into the market highlights for Saturday, I want to mention Fetch-a-Cure‘s upcoming Pets on Parade Benefit and Auction (June 5th). 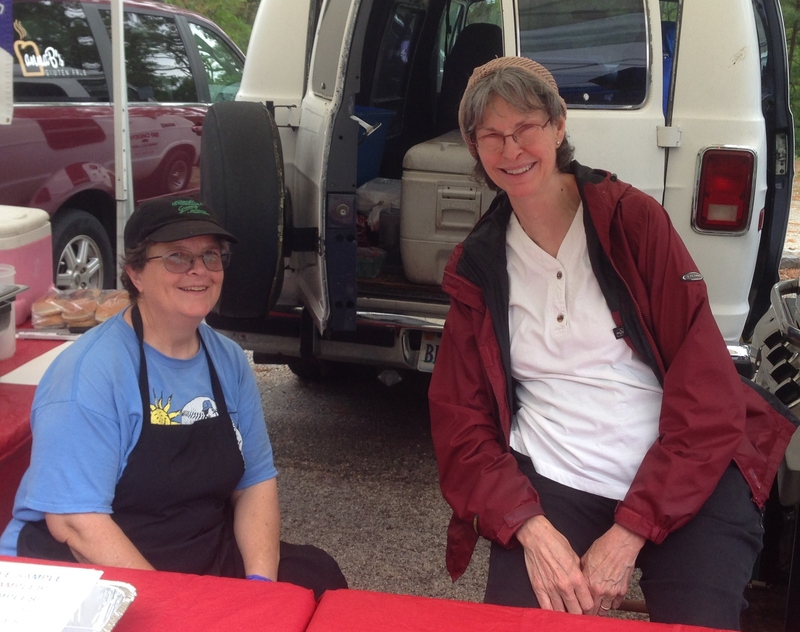 Among the many splendid items in the auction next week is a GrowRVA pass that entitles the holder to jump to the front of the line at Mrs Yoder’s Kitchen … all summer long! 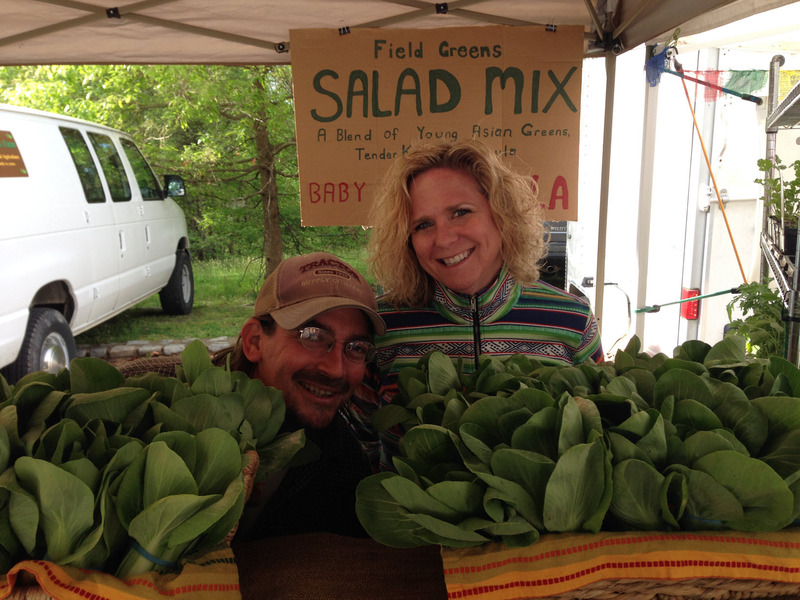 Black Creek Farm – We’ve watched Black Creek Farm grow year after year, their tables now groaning with a wide variety of naturally grown produce. 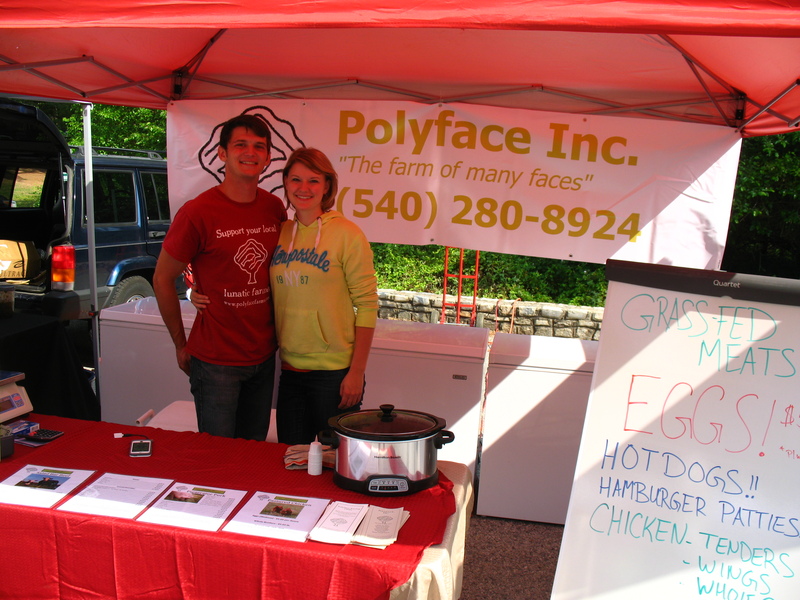 Matt and Kim Powell’s abundant and tasty produce demonstrates the power of compost, cover crops and natural mulches. 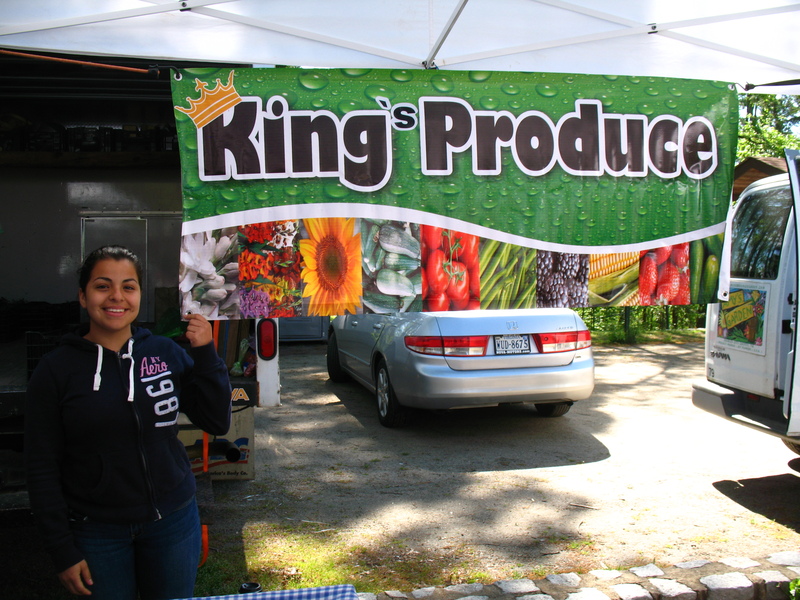 King’s Produce – Pleitez Farm has a new name: King’s Produce! Not to worry though … it is run by the same wonderful farmers and they have the delicious fresh fruits and vegetables you have come to expect. Big Daddy’s Barbecue & Ribs – Offering eastern North Carolina pork BBQ, Mesquite smoked Texas-style beef brisket, hickory smoked baby back pork ribs, applewood smoked breast of chicken salad and gumbo, Big Daddy’s has been pleasing SOJ customers since the early days! 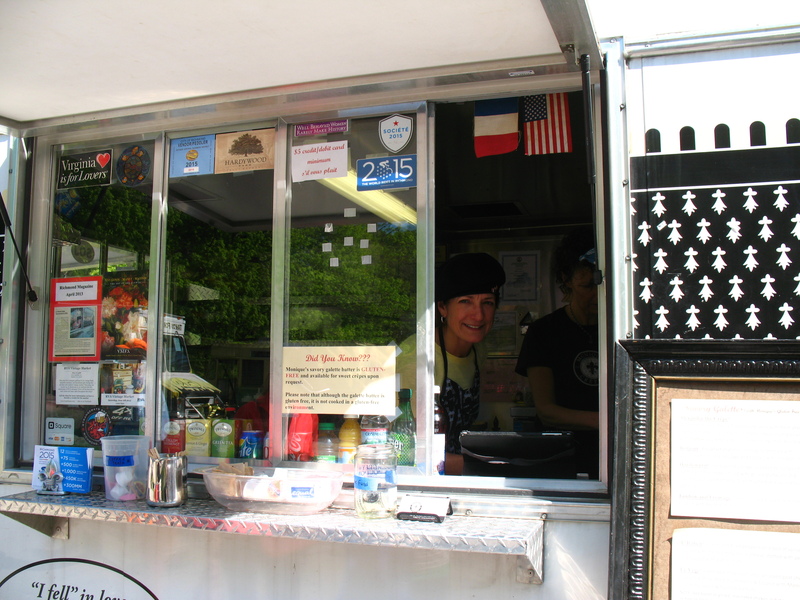 Monique’s Crepes – Look for Monique’s Crepes tomorrow and do yourself a favor… try one of their authentic French style sweet crepes or savory galettes. You won’t be disappointed! 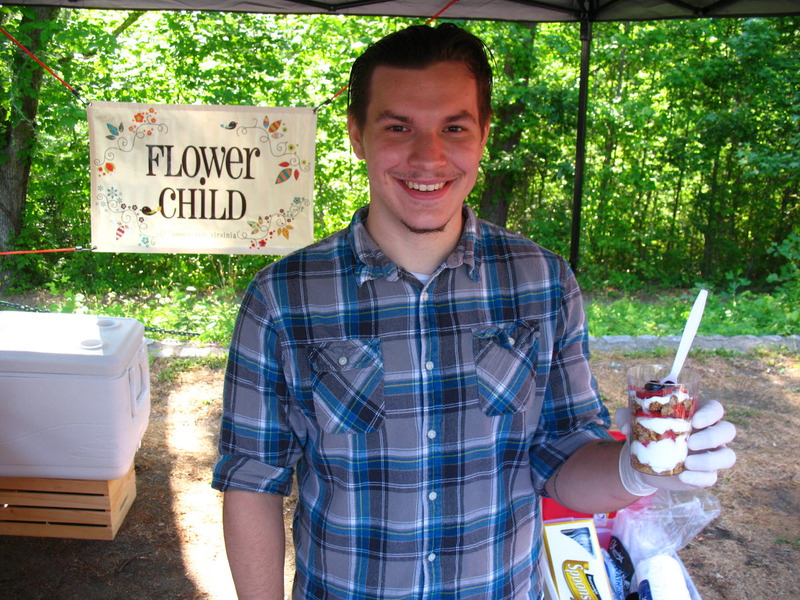 Flower Child Parfaits – Flower Child’s granola is very popular with SOJ customers. VERY popular. Building on that success, the Wyatt family is branching out with Flower Child Parfaits. Find these delicious treats in the “back loop” next to Alchemy Coffee. 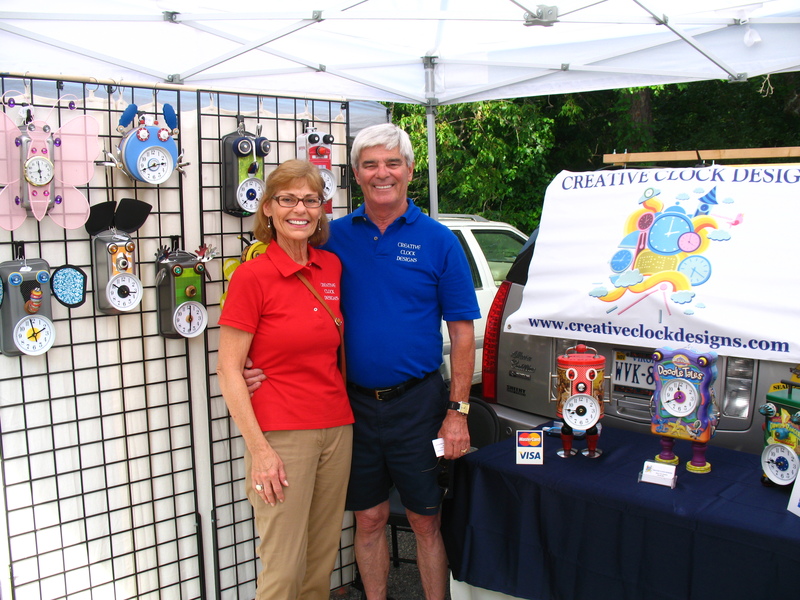 Creative Clock Designs will put a smile on your face. Each clock has its own style, personality and character. Bob and Terri have given each one a name and look forward to introducing you to Brutus Bear, Honey Bee, Dagwood Duck, Ralphie Robot, Cleo Cat and the rest of the gang. That is a quick peak at just 8 of the vendors that will be at the market on Saturday. 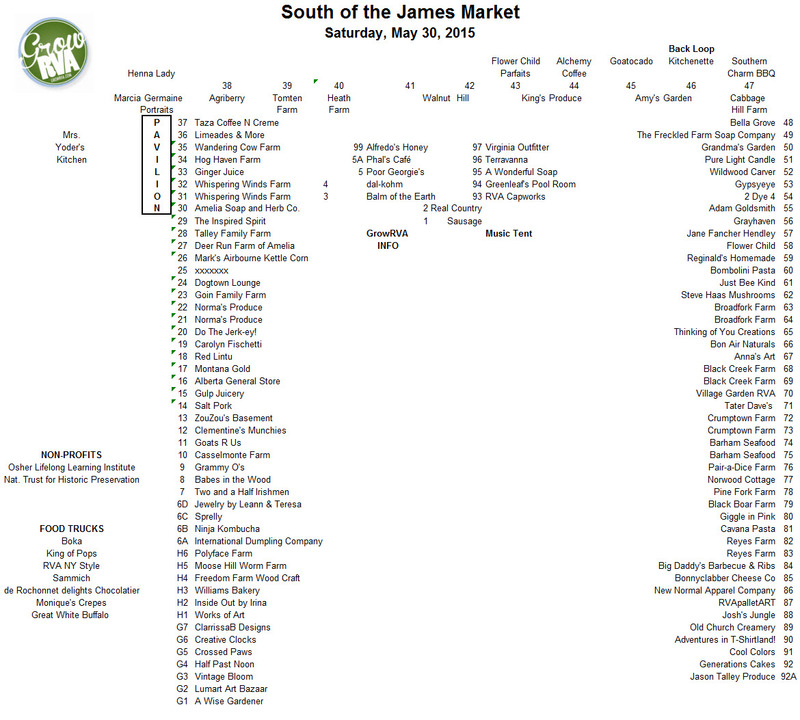 Below is a map noting the many other small businesses that will be there too. You may download a printable version of the map here.